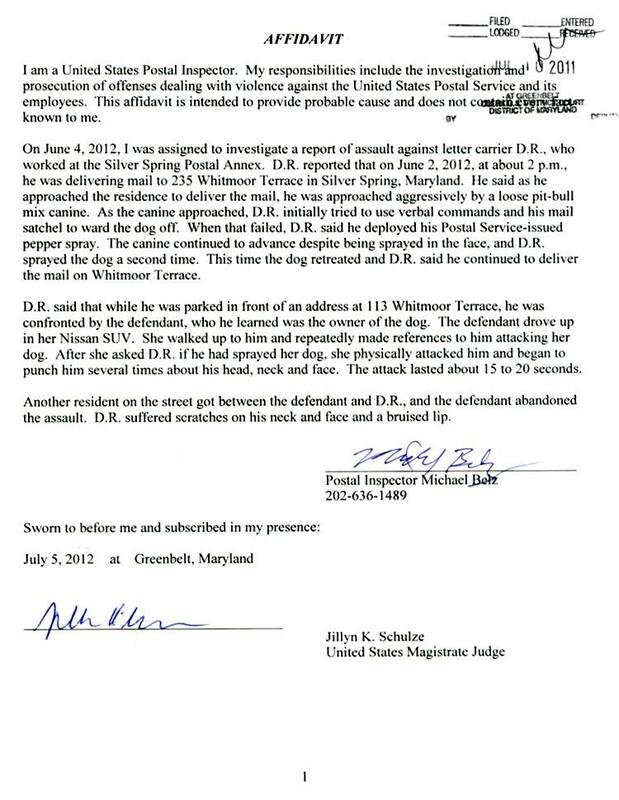 JULY 10--A female physician was named today in a felony complaint accusing her of assaulting a letter carrier who pepper-sprayed her pit bull when the dog attacked him as he delivered mail last month on a leafy Maryland street. 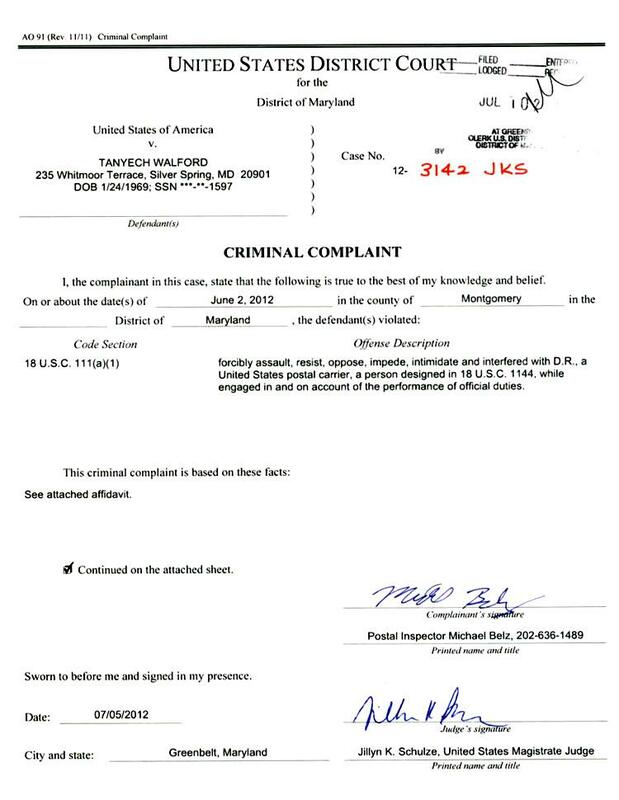 Tanyech Walford, 43, was charged in a criminal complaint filed in U.S. District Court in Greenbelt. Pictured at right, Walford is a resident of Silver Spring, the Washington, D.C. suburb. After failing to ward the dog off via verbal commands (and the use of his satchel), the mailman “deployed his Postal Service-issued pepper spray,” Belz reported. 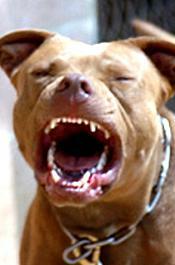 Despite being sprayed in the face, the dog continued to advance, prompting “D.R.” to spray the animal a second time. “This time the dog retreated and D.R said he continued to deliver the mail on Whitmoor Terrace,” added Belz.